Brian was very thorough and made the experience very pleasant and educational. I would definitely recommend your service to anyone looking to buy or sell their home. The service that you provided was exceptional from start to finish. Lisa who set up the appointment was professional, informative and her trusting friendly manner. Our home inspector Brian was knowledgeable, professional, and his friendly manner gave has the confidence and knowledge to make a confident decision about our new home purchase. We would have no hesitation to refer you to friends co-workers and family. Thank you both. It was a pleasure to work with you both. Brian Daley was punctual (early in fact), personable, knowledgeable, informative, well educated, and provided exceptional service and advice. A rewarding, enlightening and enjoyable experience from start to finish. As a single woman making my first solo home purchase; the expertise and guidance provided are invaluable. No room for improvement that I could see. Many thanks. Our inspector Brian was extremely helpful. We really liked his interactive approach to home inspection, where we walked alongside him the whole time. He explained everything to us - the good and the bad - and was very knowledgeable about all building components. 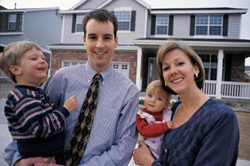 He insured that we understood all aspects of the home inspection and answered all of our questions along the way. We highly recommend Brian Daley of AGHI. Loved Brian...he was so great. So very helpful...and we feel so much better having had the inspection. 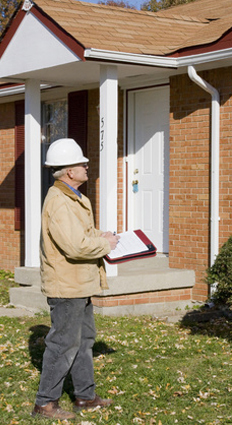 I had a great experience with my home inspector, he was very informative. It was clear that he wanted the best for me and my future in the house I was buying, without him I would have made a huge mistake. Thanks Brian! You saved me a lifetime of troubles! I had no idea a home inspection would teach me so much about a house. I now feel confident buying this property. I have heard horror stories from friends as to how shallow their home inspection was and the night-mares they faced after purchase. I have avoided all stress and can move in knowing what I need to fix urgently, what can be fixed down the road, and approximately the costs of such repairs. Very impressed with the inspection. Brian is very friendly and was easy to get along with and knows his stuff. He was at the home 20 minutes before our appointment so there was no delay in starting. There was never a feeling of being rushed. He was open to any and all questions and answered them clearly. The photos are a big plus. The whole process was first rate. After he was done we got the report on the spot with the CD and an explanation of the results. We bought the house. I would (and already have) recommend Brian. I also was impressed with Lisa in the office by phone and email. Again, friendly and provided the necessary info I needed. I thought everything was excellent...from the friendliness and knowledge of the person answering the phone as well as the knowledge and professionalism of the inspector. Very well done! My inspector was Brian Daley. I used him once before in which Icancelled the deal on the house because of his report. I trust his opinion and used him again yesterday he's very knowledgeable and personable, will definitely use him again. The company is a little pricier than others, but with an inspector like that well worth the money. The home inspection saved us a lot of money and headaches from buying the wrong home. Brian Daley provided exceptional service. He was thorough, patiently answered all of my questions, and took the time to explain, in detail, concerns he had with items around the home. He prepared a report at our home and left a CD containing the report to be reviewed at our leisure. He also provided a detailed 2 page synopsis outlining the deficiencies in order to streamline the review. Overall, it was an educational and valuable service. Brian was great. He really helped us understand the home we are hoping to buy. All major and minor concerns were noted and explained-- this truly helps us to focus on must do's and the things that can wait. Brian was a lot of fun-- he used humour and made us laugh throughout the inspection, which is great, especially during a stressful time, like buying our first home. We truly Thank You! I would like to thank both you and Brian. Your services were wonderful and Brian did a great job with the home inspection. He was very professional and knowledgeable and I would not hesitate for a moment to recommend your services. Thank you for your time. Great, friendly inspector, very knowledgeable, excellent explanations, very thorough, answered all questions, excellent written report, highly recommend his services. The material provided at the end of the inspection is excellent, during the inspection some specific exerts from the material showing what the wall section should be, or how the interface between the bottom of the house and the foundation wall should be would be helpful so while looking at the issue a correct drawing of the interface can be appreciated. Our inspector Brian was fantastic! He was very knowledgeable and thorough. He made everything easy to understand and put us at ease. Thank you! I found this to be an eye opening experience, as my husband and I are first time home buyers; therefore, this was the first time that we were exposed to the home inspection process. It was a very informative and valuable experience, equipping us with the 'need to know' information about home maintenance, repair, and in a couple of cases, building code requirements. We were asked to evaluate Sean's performance, as we were told he is fairly new to the industry. We found Sean to be courteous, professional and very informative. Since he is new to the business, I could see that Brian was a little more knowledgeable than Sean, however, as a team, they definitely caught the major issues that needed to be addressed. Thanks again for the great service! I am a 67 year old widow and have lived in the home I am leaving for 23 years and was a bit intimidated about the prospect of house hunting .I had a fantastic realtor who explained the importance of a home inspection .and when I found the house I wanted to buy I relied on my realtor to arrange a home inspection. I was assured that Brian Daley was the best and so the inspection was booked. I was still worried as being a woman I know nothing about the mechanics of a home. When something breaks down I just call a repair service. What a nice surprise it was to meet Brian Daley a very personable man and the first thing he did was tell me that he would explain things in a way I could understand. Brian did just that and pointed out many things to me that I would never have noticed on my own. Brian then emailed me the 58 page inspection report that explained everything we talked about in more detail as well as the pictures he had taken. The next morning he called me to ask if I had been able to download the report okay. I am purchasing this home and I am so grateful that I had a great realtor and a great home inspector to make the process of home buying a lot easier. I would not hesitate to recommend this service to anyone thinking of buying a home. Brian was exceptionally friendly and put our mind at ease within the first 30 seconds of realizing who the guy looking at the house with binoculars was. He took us through the house, explaining what he was looking for, what we could expect and suggestions for making sure that our house would be a solid investment. All throughout the process, we felt as though he took his time and we didn't feel rushed in the slightest (in fact, we had to apologize to our babysitter for not realizing quite how long he was willing to take to ensure that we had asked any of our questions.) The pictures that were taken were not only helpful in establishing the potential problems of the house, but also as a great way to show friends and family. We were very happy with the service provided, and will happily pass the business cards to anyone in the area looking for a house.